42 ways to make a "green" impact in your community. Choose a couple ideas to get started and work your way around the list. 1. Certify Your Yard as a National Wildlife Federation Habitat. 2. Create Habitat for Pollinators. 16. Plant a Boulevard Garden. 30. Start an Organic Vegetable Garden. 3. 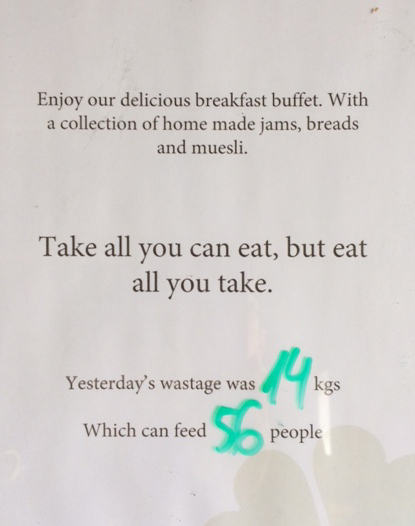 Keep Food Waste Out of Landfill Trash. 17. Kindly Notice and Move Critters Out of Harm's Way When Mowing. 31. Create Chemical-free Safe Places for Pollinators. 4. Learn How Dark Skies are Good for Humans and Wildlife. 18. 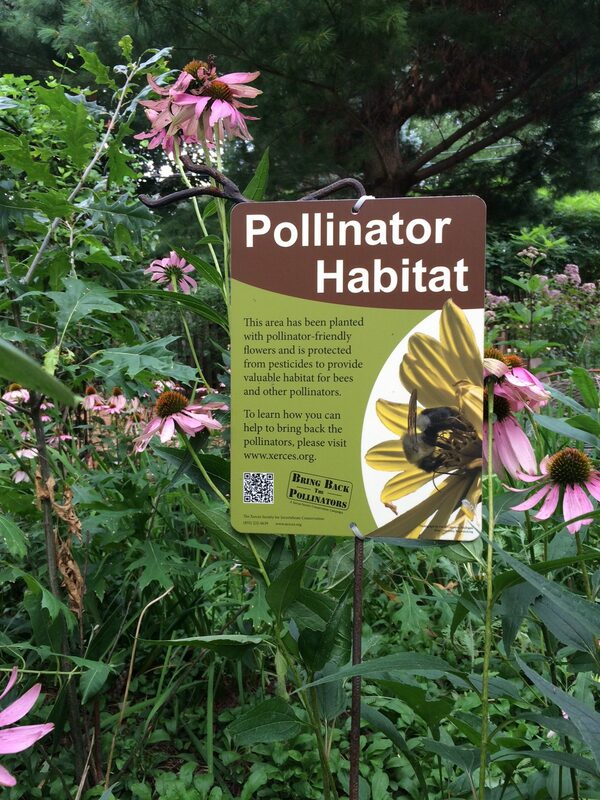 Start a Neighborhood Pollinator Pathway. 32. Provide Habitat for Beneficial Insects. 5. Our Lawns are Polluting Our Lakes. Keep Stormwater Drains Clean. 19. Create Habitat for Native Bees. 33. 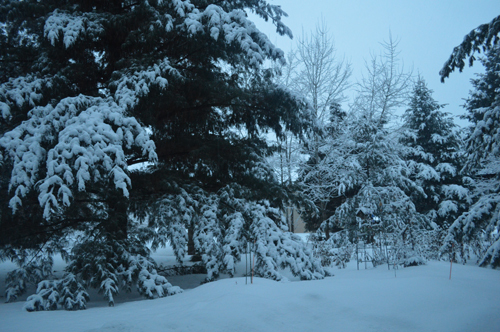 Layer your Yard to Provide Winter Shelter and Habitat. 6. Be the First on your Block to Start a Trend! 20. Sweep Up Salt: It is Forever Pollution. 7. Never Stop Learning How to Make an Impact. 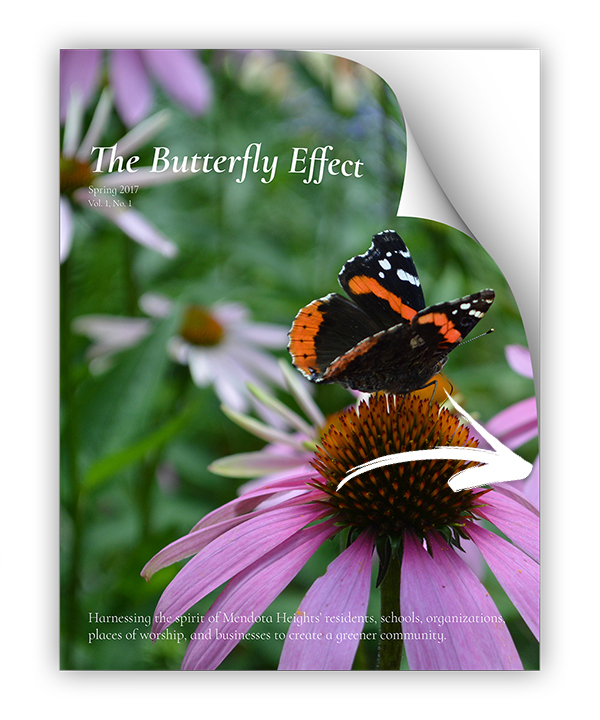 Subscribe to the free e-Journal The Butterfly Effect. 21. Compost in your Backyard. 35. Keep Grass Clippings out of the Street. 8. 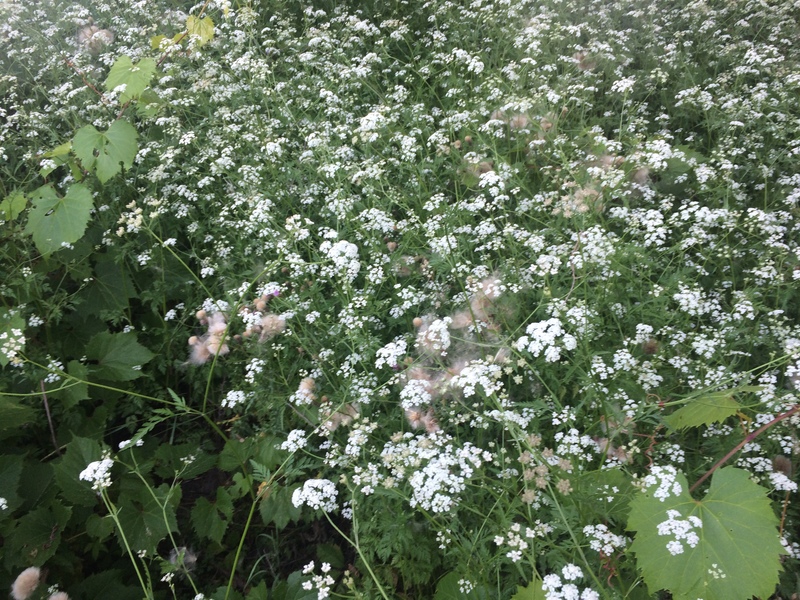 Learn How to Identify Invasive Vegetation. 22. Become a Citizen Scientist. 36. 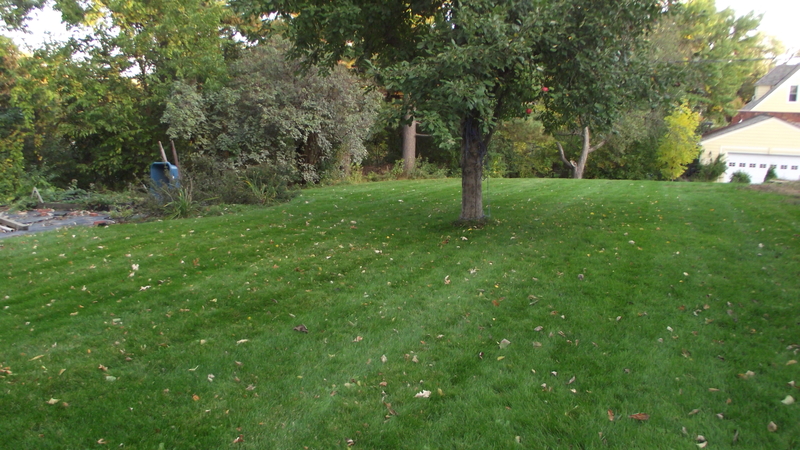 Transform Your Lawn into an Ecological Asset. 9. Plant a Rain Garden. 23. Plant a Butterfly Garden. 37. Consider the Consequences of Your Purchases at the Garden Center. 10. Have a Messy Garden. It's OK.
24. Consider Installing Rooftop Solar. 38. Take Good Care of the World Beneath Your Feet. 11. Help Save our Planet. Plant Trees. 39. Point your Downspout into your Yard or Garden. 40. Take Time for Joy. 13. 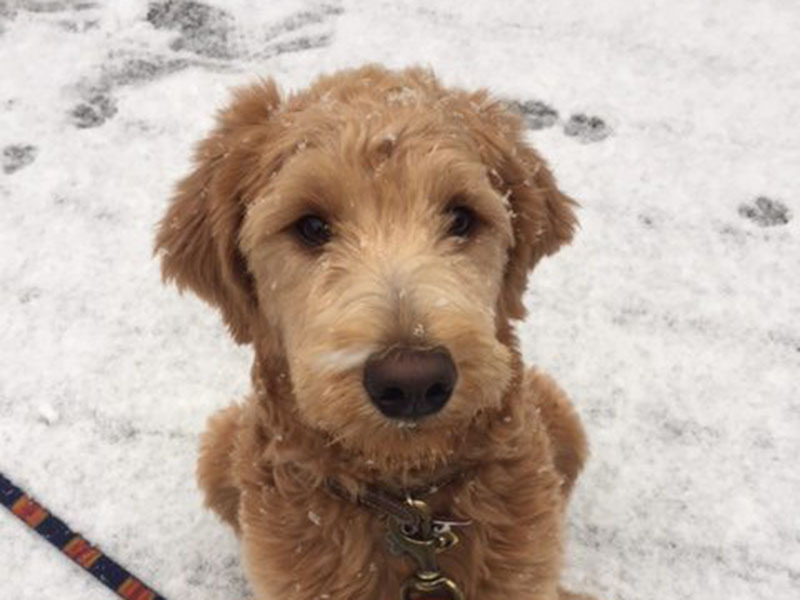 Always Clean Up Your Pooch's Poo. 27. 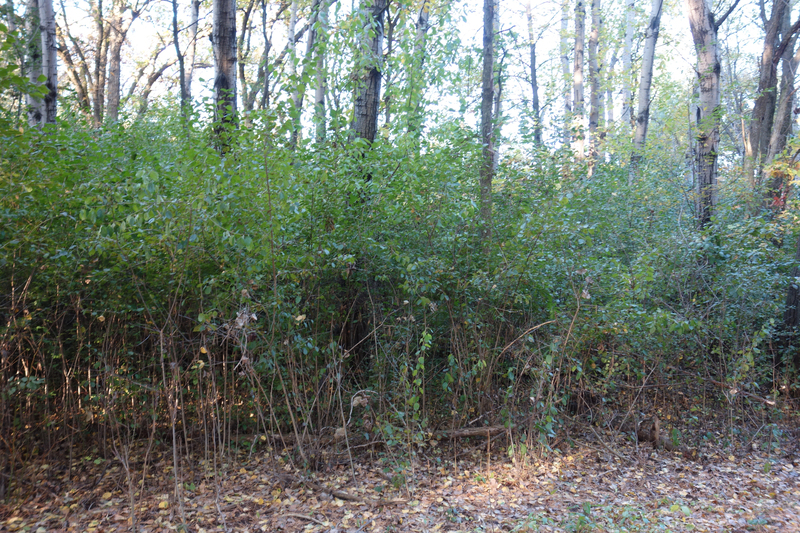 Learn How to Conquer Buckthorn. 14. Only Take What You Will Use. 28. Start a Schoolyard Forest. 42. Provide Water for Birds. Learn how to invite wildlife into your yard. 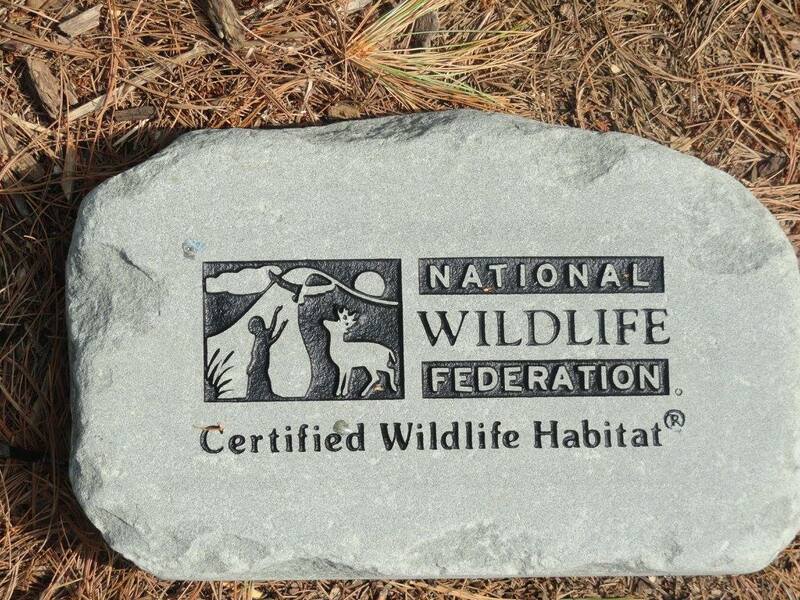 Certify your yard as a National Wildlife Federation wildlife habitat. Want to make a bigger impact? Work toward getting your entire community certified. Learn how one neighbohood is working to become a National Wildlife Federation certified community. The monarch population has plunged 80% in the past two decades. Help the monarch. 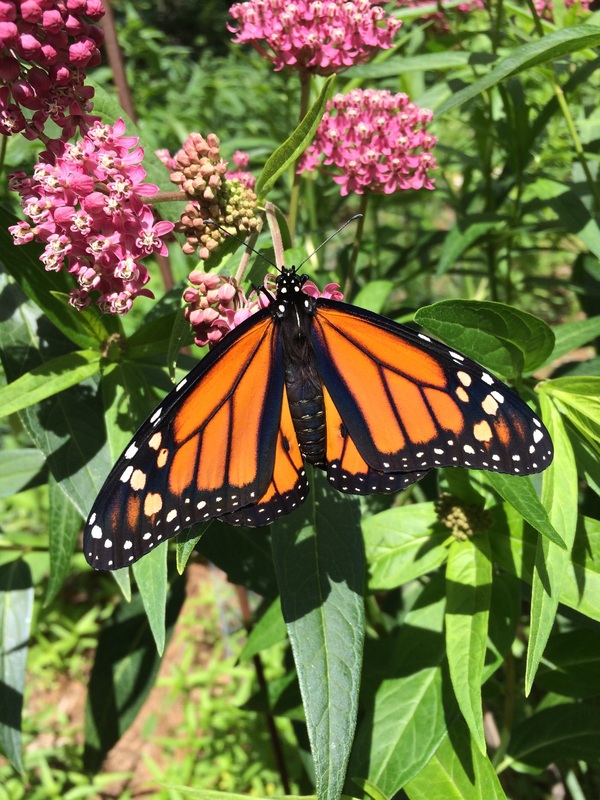 Create monarch habitat. 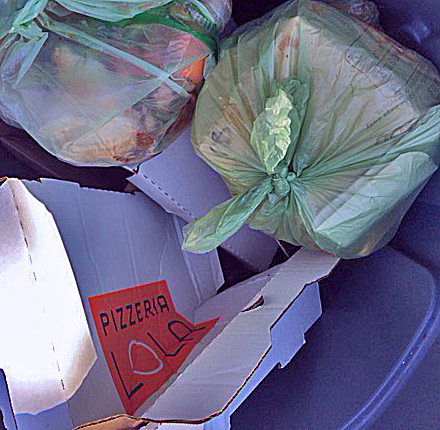 Keep food scraps and organic waste out of the trash. Dirty pizza boxes, egg shells, uneaten leftovers, coffee filters and grounds, tea bags, paper egg cartons, dryer lint, and more, accepted. If you don’t have curbside pickup, locate your local organics recycling drop-off location. This waste will be turned into nutrient-rich compost for yards and gardens. 4. 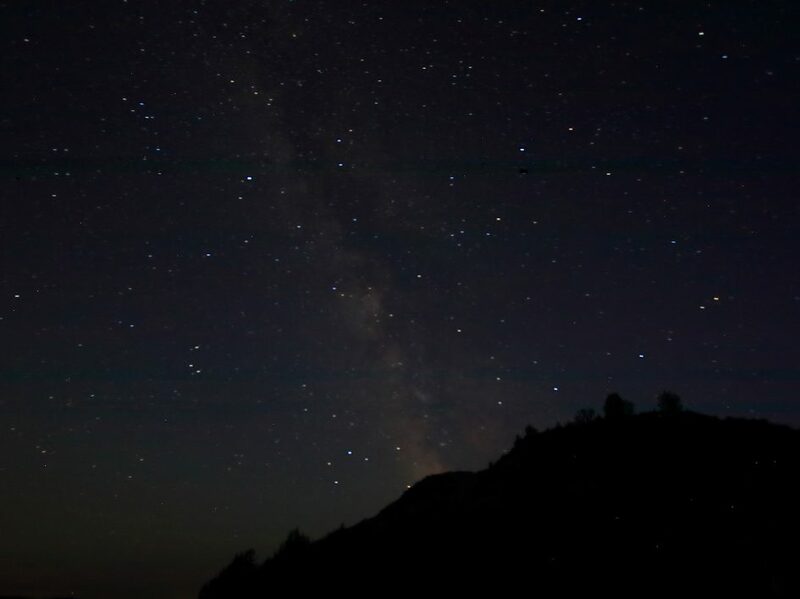 Learn Why Dark Skies are Good for Humans and Wildlife. Learn more about light pollution and the importance of dark skies in your community. 5. Our Lawns are Polluting Our Lakes, Rivers, Wetlands, and Streams. Keep Stormwater Drains Clean. Our lawns are polluting our water. 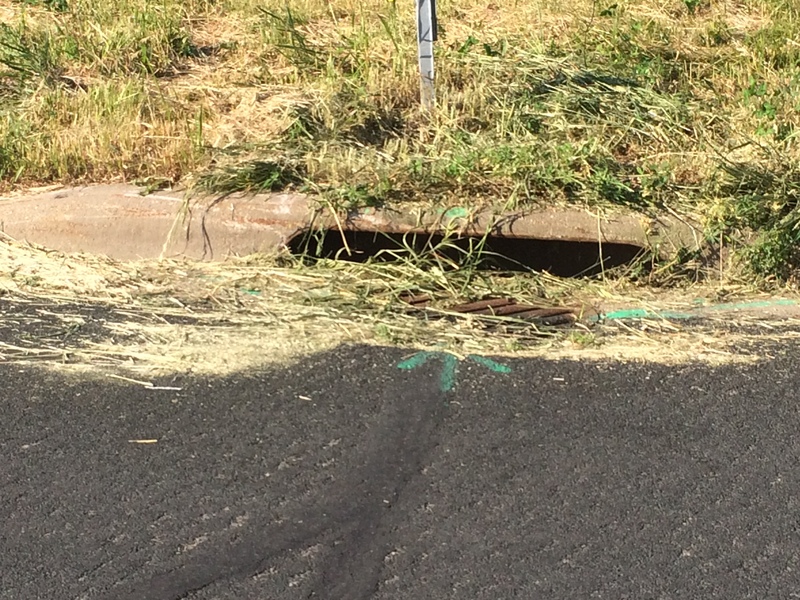 Keep grass clippings, leaves, fertilizer, pet waste, pesticides out of the street curb and sweep away and remove from the stormwater drain in front of or near your home. Adopt your local stormdrain and keep it clean, year-round. Officially adopt your stormdrain wherever you live and wherever you work! Fertilizing and spraying our yards addicts our lawns to chemical inputs. 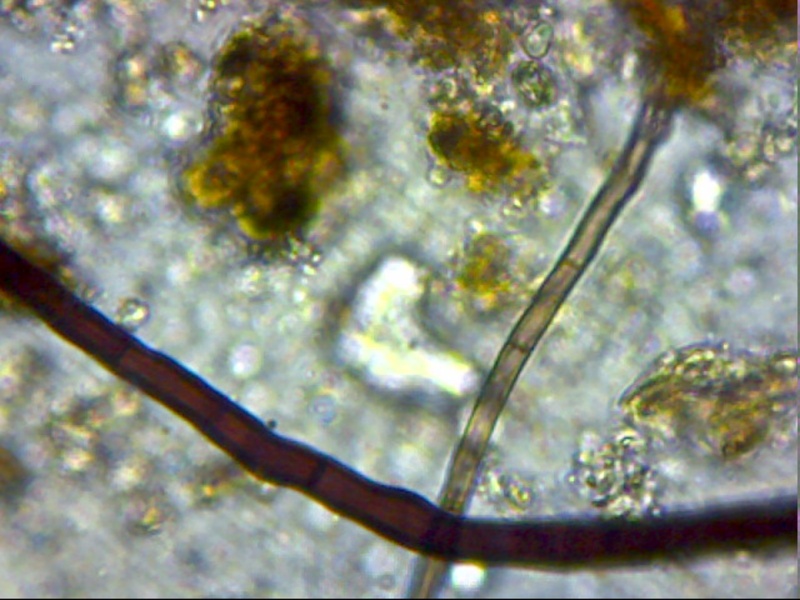 It also destroys microbes in the soil that provide important nutrients. Consider weaning your lawn off of artificial adjuncts and maintaining your lawn as an ecological resource instead. Why and how to get started. 7. Never Stop Learning How to Make an Impact. Subscribe to The Butterfly Effect. Learn more and keep up on how to green your neighborhood. Read how others are making an impact in their community. It is the cumulative impact of individual actions that will create the butterfly effect. Subscribe to this free e-journal. Catch rain where it falls. Don’t let it become stormwater. Once rain rolls down your driveway or off your property, it transforms into polluted stormwater. 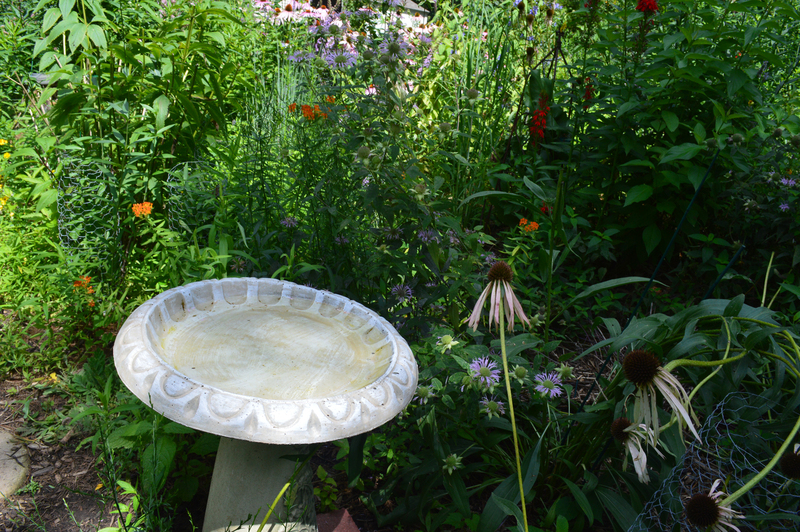 Plant a rain garden or pollinator garden. At home. Your place of worship. A local schoolyard or boulevard. Where you work, play, shop. 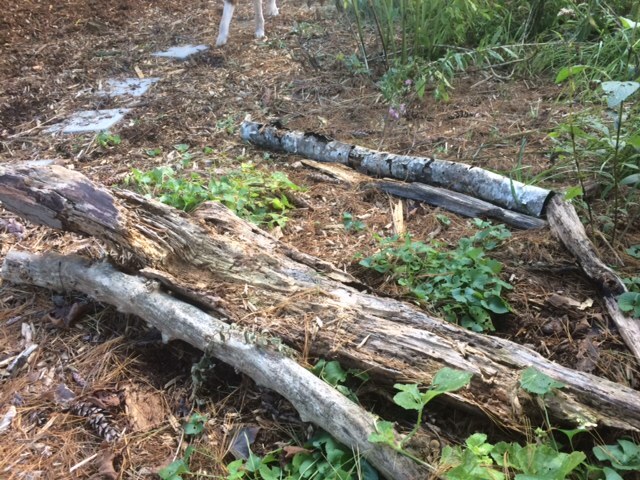 Leave some decaying logs or a dead tree in your yard for wildlife. It’s “wildly” important habitat! 11. Help Save our Planet. Plant Native Trees. 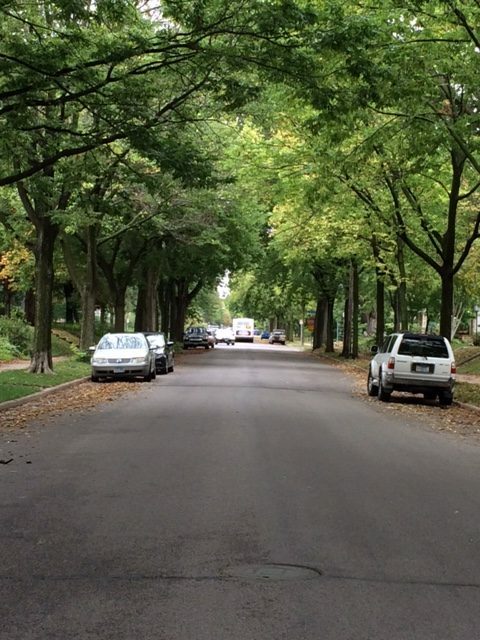 If you live in a community that does not plant boulevard trees, create your own street canopy (with neighbors) and strategically plant trees to create a community canopy. Canopied streetscapes have numerous benefits like intercepting and preventing rain from becoming polluted stormwater, and cooling heat absorbing streets in the summer. If your city does plant boulevard trees, give your tree a thank you and take good care of it! Don’t flush medicine. Our water systems weren’t designed to remove medicine from our drinking water. 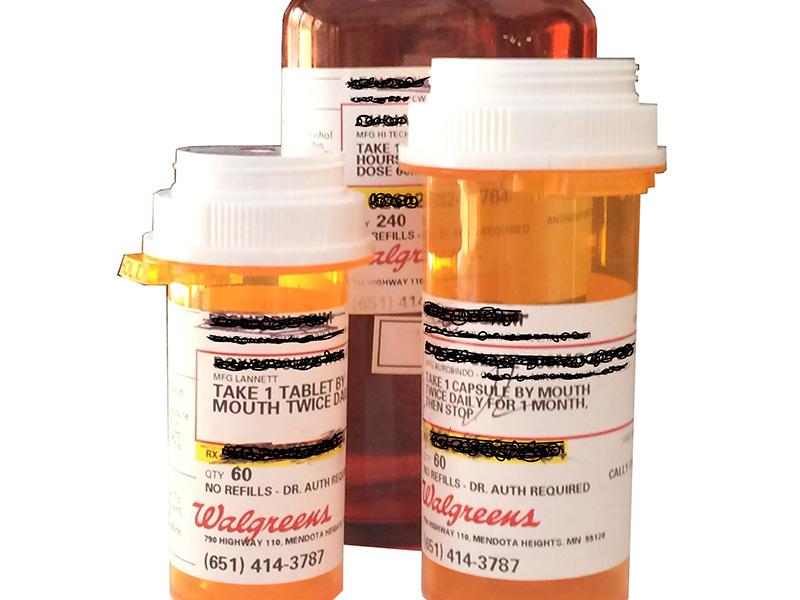 Don’t throw medicine (prescription or nonprescription) in the trash either. “Garbage juice” from landfills contains medicines. This toxic brew is transported to water treatment plants where it encounters the same challenges to our water supply. Bring unused meds to your local drop-off facility or to a participating pharmacy so they are disposed of properly. Always pick up your pet’s poo (even if you are in a wooded area). It is water pollution, and unhealthy for both people and pets. Take only what you will use. About 50 percent of all produce in the United States is thrown away. Landfilled fruits and vegetables produce a greenhouse gas–methane–when they break down. What to do with sometimes unavoidable produce scraps? Home composting! Plant shrubs, trees, and flowers that sustain birds all year long. 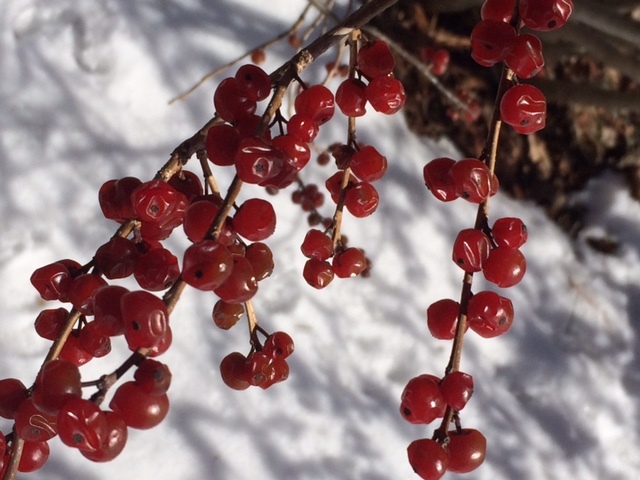 Shown here: winterberry shrub. Bring more birds to your home with native plants. Learn what native plants are best for birds in your region by using Audubon’s zip code finder! Regional native trees and shrubs offer the best nutrition and habitat for our birds, bees, butterflies, and other critters. 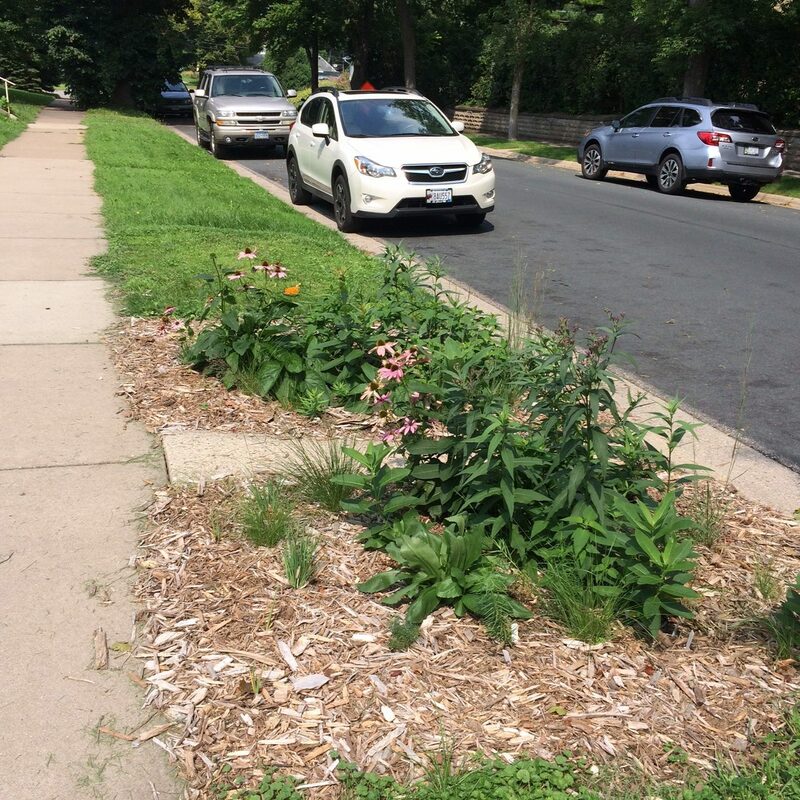 Boulevard gardens provide pollinator habitat, beautify the neighborhood and connect community, help infiltrate and purify stormwater, and help keep polluted stormwater from running down stormwater drains. This critter may look big but it’s actually tiny. 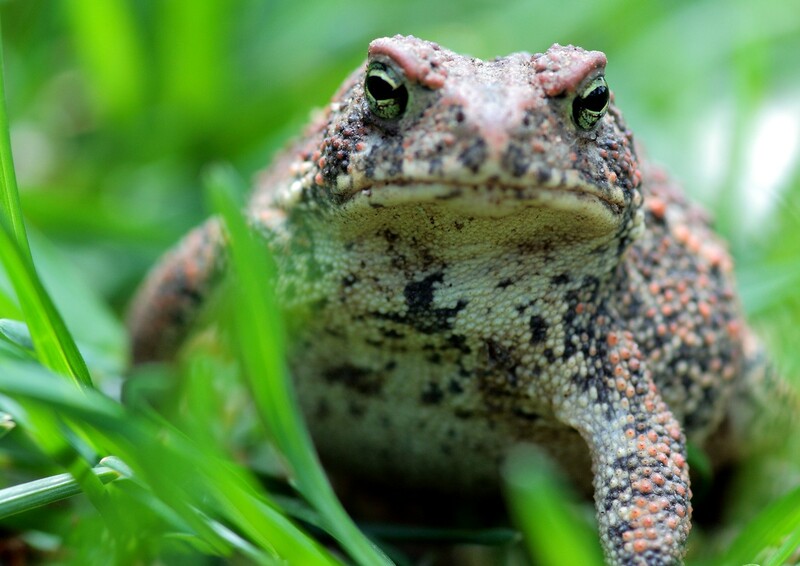 Many species of frogs, toads (pictured: American toad) and other amphibians around the world are on the brink of extinction. Kindly move wildlife while mowing the lawn. And be vigilant while perched on the rider mower! 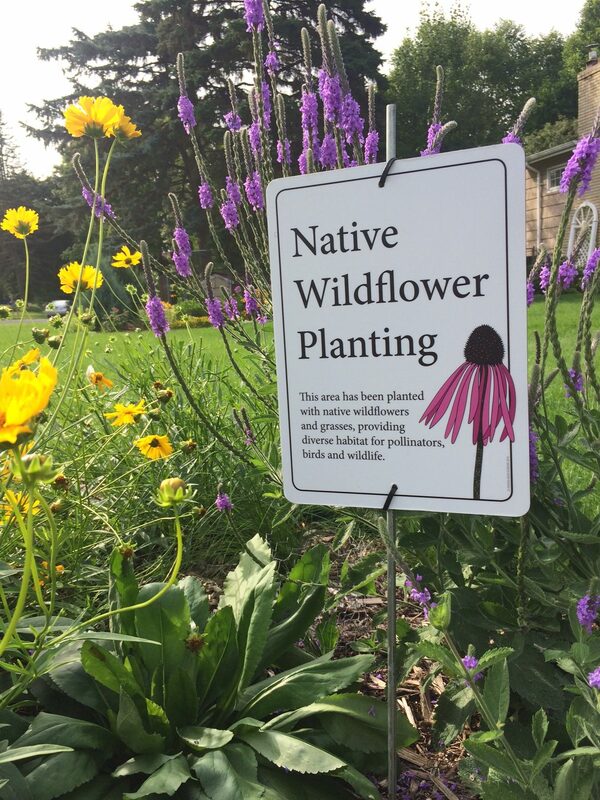 Create a native plant pocket garden. Encourage your neighbors to do the same. 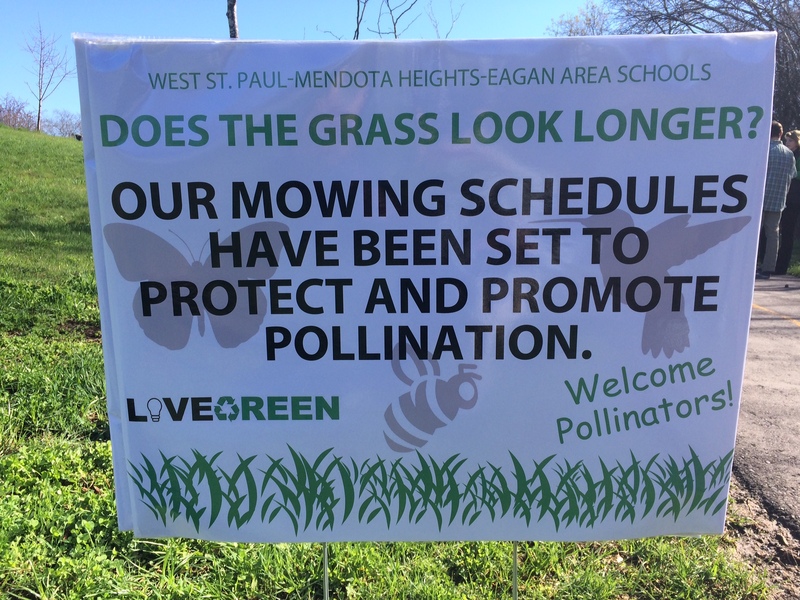 You will be starting a neighborhood pollinator pathway. Want Butterflies? Plant Host Plants! Leave some bare ground in your yard to invite in important ground nesting insects. 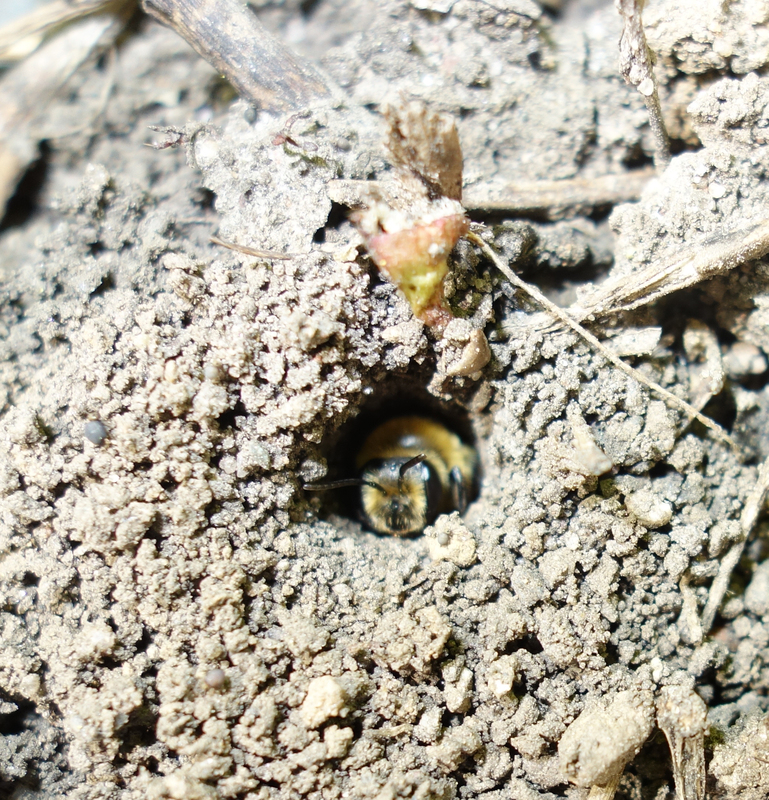 Pictured: a Minnesota native mining bee. Salt is forever pollution. Sweep it up. Especially from the stormwater drain and the curb outside your house or apartment. 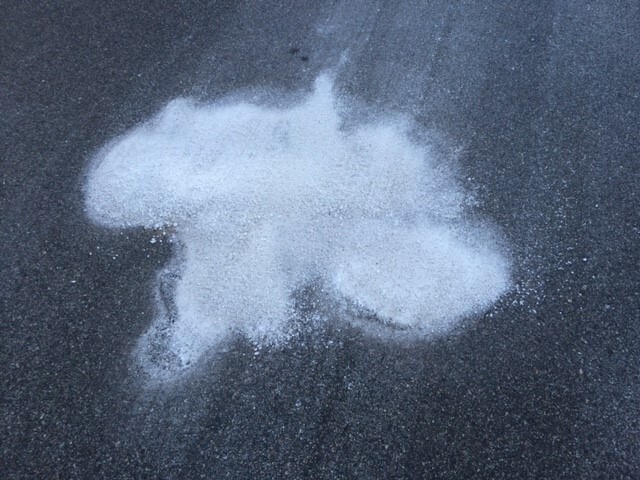 Salt that goes down stormwater drains ends up in our lakes, rivers, ponds, wetlands, and groundwater. And stays there. We’re turning our freshwater into saltwater. Fifty Minnesota lakes are listed as impaired because of their salt levels. More will no doubt be added to the list. One teaspoon of salt permanently pollutes 5 gallons of water. Sweep it up before it dissolves (you won’t see it then but it’s still there!) and goes to our waterways. Compost in your back yard. 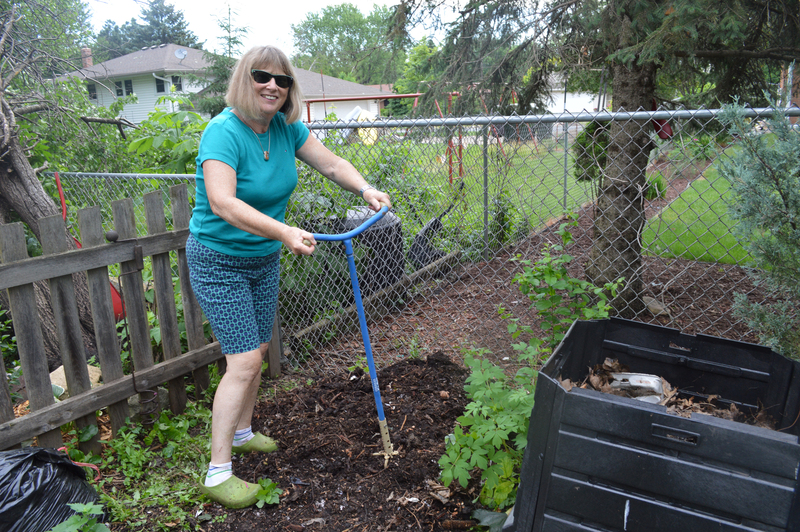 Composting will make YOU happy, too. Become a citizen scientist. You are desperately needed. Attracting these magnificent creatures into our yards requires just three basic ingredients: larval host plants, nectar plants, and sheltering habitat. The first ingredient, larval host plants, are the plants caterpillars must eat to survive. You may be surprised to learn that both shrubs and trees play an important role as hosts in the butterfly garden. 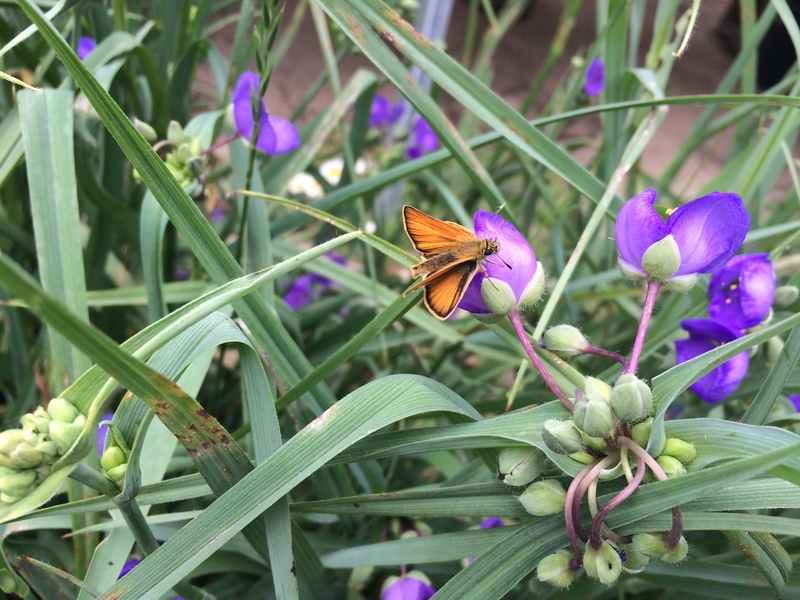 Native plants by zip code and the butterflies and moths they support. Larval host plants for butterflies and moths. 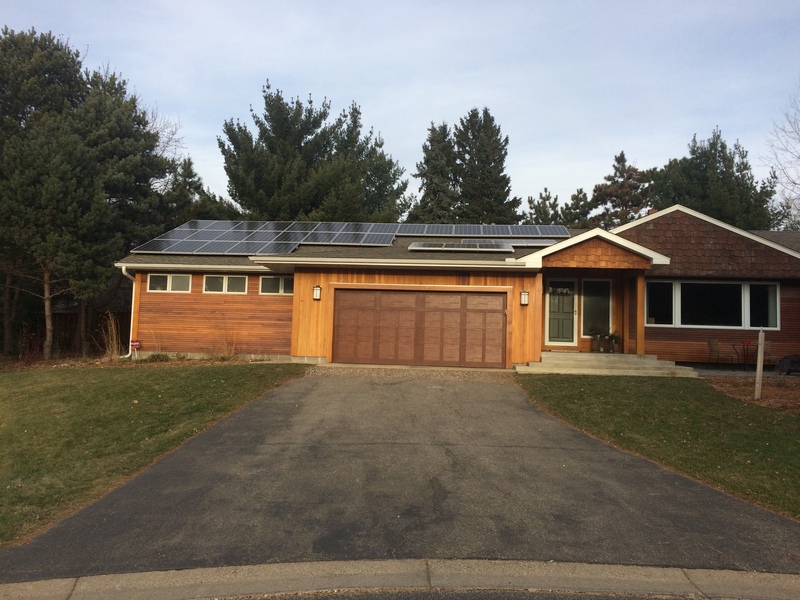 Consider rooftop solar energy to power your home. Initiate and support a greener community with creative thinking. In Minnesota, dandelions are some of the very first flowers to bloom in the spring. Consider letting them bloom in your yard, schoolyard, government properties, places of worship, boulevards, and more, so that pollinators have early spring resources. Mow before the flowers turn to seed. Start seeing buckthorn–everywhere. Learn how to remove it. Then get started! 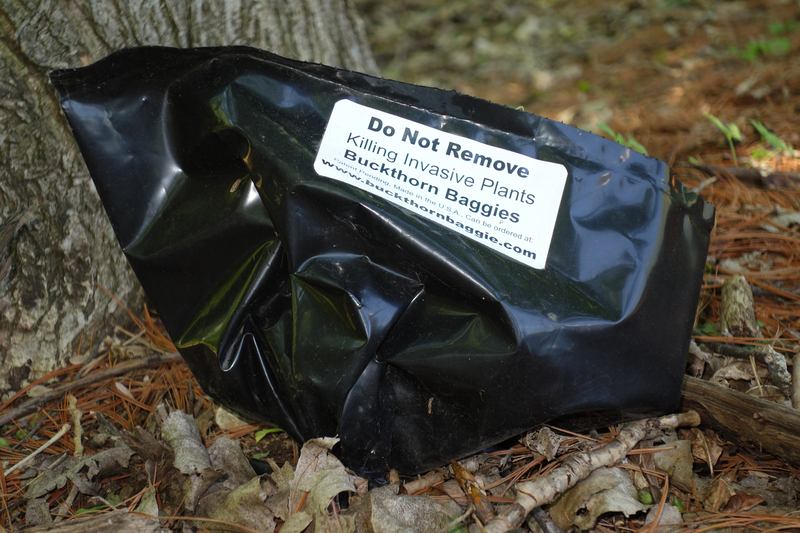 Learn about all the “tools in the toolkit” available to remove buckthorn. Buckthorn removal is never a one-time event. Keep at it. It can be conquered. 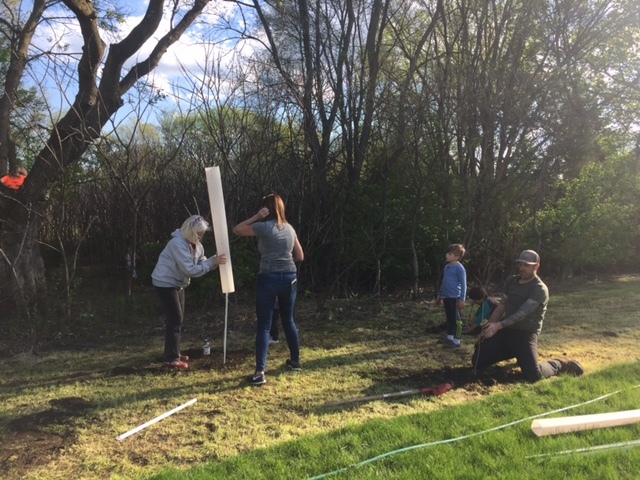 Start a schoolyard forest. Here’s why. “Native plants are those that occur naturally in a region in which they evolved. They are the ecological basis upon which life depends, including birds and people. Without them and the insects that co-evolved with them, local birds cannot survive. For example, research by the entomologist Doug Tallamy has shown that native oak trees support over 500 species of caterpillars whereas ginkgos, a commonly planted landscape tree from Asia, host only 5 species of caterpillars. When it takes over 6,000 caterpillars to raise one brood of chickadees, that is a significant difference. Why Native Plants? Gardening for Life. 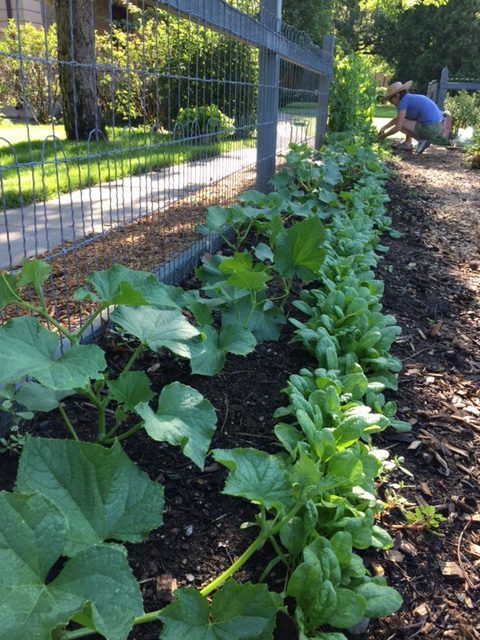 Start an organic vegetable garden. In your own yard. A schoolyard. Your place of worship. Where you work. In your community. Pollinators are insects and insecticides kill insects. 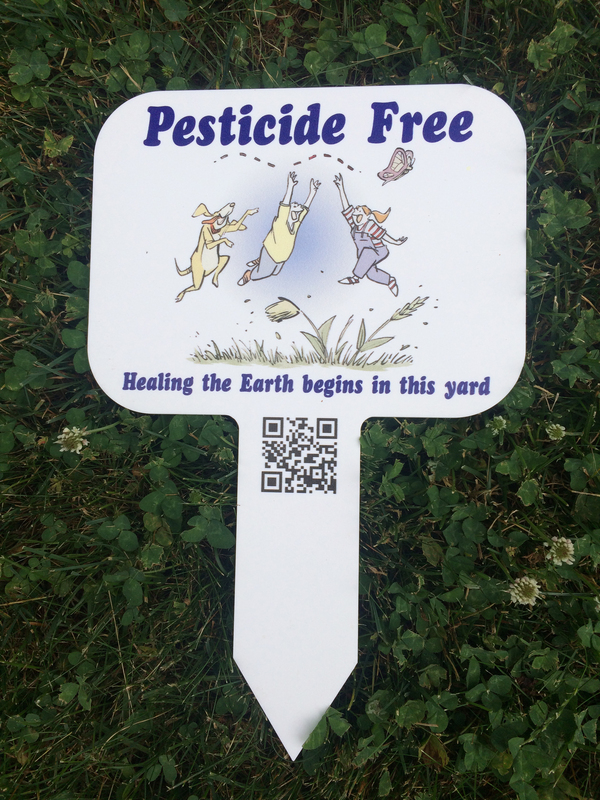 Think twice before reaching for insecticides, pesticides, herbicides: are they really necessary? Are there alternatives? Beneficial insects are the foundation of all life on earth. Create habitat so that these vital creatures can thrive. 33. Layer Your Yard to Provide Winter Shelter and Habitat for Birds and Other Wildlife. Birds need winter shelter. Offering dense layers in your yard helps birds survive the season. Notice nature. Let her tell you her story. This insect’s story is a good one. If you were a would-be predator of this beetle—the Eastern-eyed click beetle—those two fake supersized-eyes might make you think twice! This beetle will “play dead” on its back when threatened. When the coast is clear, it makes a clicking noise as it flips itself upright. 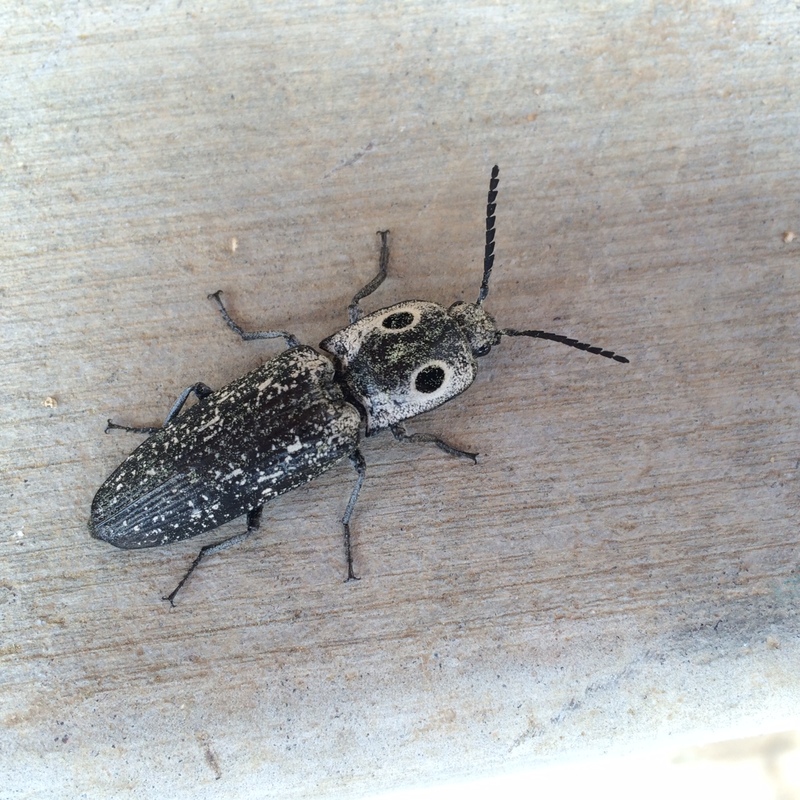 Over an inch long, this species of click beetle is not a threat to our Minnesota gardens. The beetle pictured at left was first spotted resting on the tire of a car parked in a driveway. Look for this interesting creature in wooded areas, especially from May to July. Notice nature everywhere. Next time you visit your favorite gardening center, be sure you are a well informed consumer. 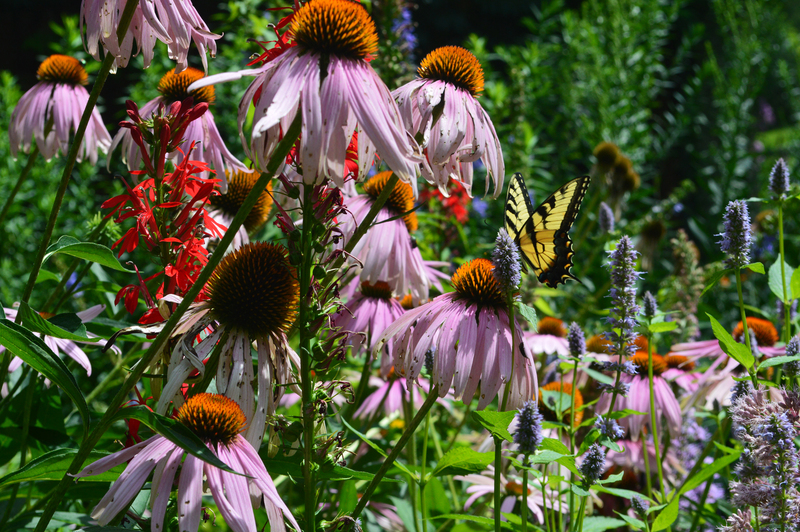 When it comes to purchasing mulch; flowers (such as the highly manipulated Echinacea purpurea, left), trees, and shrubs; and soil amendments, and more, some items are best left at the garden store. When you take a shower, do the dishes, or flush the toilet, the water you use inside your home goes to a water treatment plant (unless you are on a septic system). Water outside the home is an entirely different matter. Water that goes down the stormdrain on your street does not go to a water treatment plant. It flows to our local water bodies. Water that goes down the stormdrain on your street is polluted in some way. Outside your home, water from rain, or excess water from a sprinkler system, rolls down your driveway or sidewalk, or off your lawn, continues down the road, and picks up pollutants on your street along its way–fertilizer, herbicides and pesticides, grass clippings, fall leaves, winter salt, and more. Some of this pollution is invisible–like residue from our automobiles—or dissolved, like salt. All of this water goes down our stormdrains and makes its way to our local waters. You can help be a solution to water pollution in many ways. 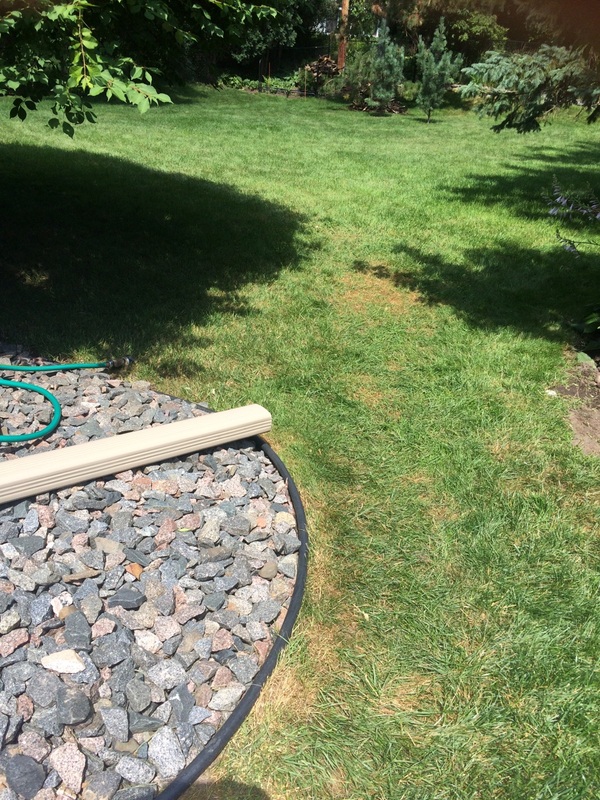 Here’s one of the most simple things you can do to make a big impact: point your downspouts into your yard or garden, not down your driveway or onto your sidewalk. This will keep water in your yard where it can be naturally absorbed rather than flowing down your driveway, and picking up street contaminants and debris that end up in our local waters. The simplest thing you can do at home to prevent pollution. Take time to find joy in all the things you are doing to green your community. 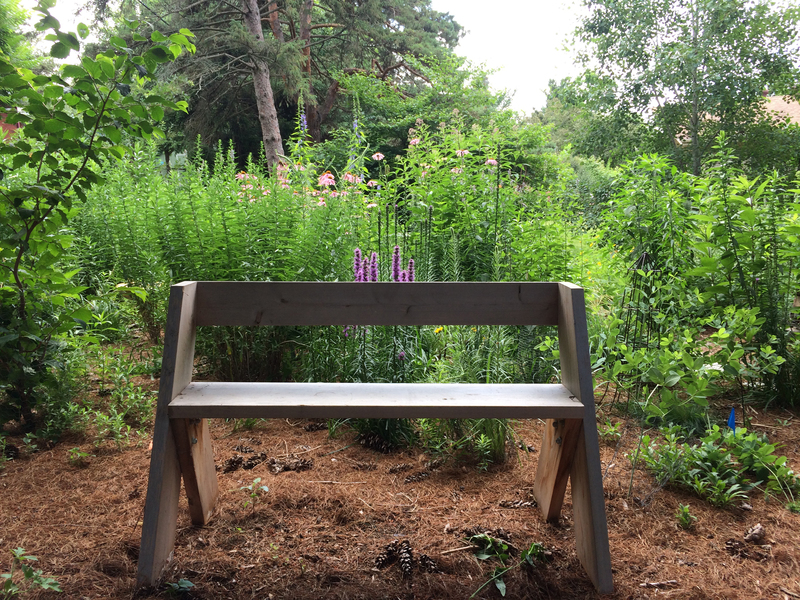 How to make this bench. 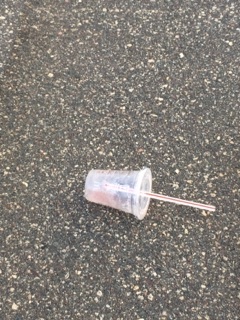 Pick it up. Even if it’s not yours. Better yet, bring a bag along with you when you go on a walk and pick up trash along the way. Bending is great exercise. And this will make you happy. Feeling happy adds years to your life. Birds need clean water. Year-round. But, keep it clean.